Article 5, section 20 of the Arkansas Constitution declares that “[t]he State of Arkansas shall never be made a defendant in any of her courts.” In Board of Trustees of the University of Arkansas v. Matthew Andrews, 2018 Ark. 12, the Arkansas Supreme Court overruled more than 20 years of precedent and held—based on the text of section 20—that the state legislature may not waive sovereign immunity. The Court thus invalidated the portion of the Arkansas Minimum Wage Act purporting to waive sovereign immunity for the type of claim brought by Mr. Andrews. This decision sent shock waves through the state judiciary, the state legislature, and the state bar. Judges, legislators, and lawyers continue to debate the breadth or narrowness of the holding and its impact on various types of lawsuits against the state. Several cases already on the docket for this coming term will press the Arkansas Supreme Court to apply, broaden, refine, or narrow its decision in Andrews. 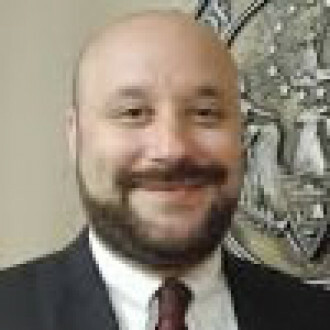 Matthew Andrews was a bookstore manager at a small publicly-funded community college that eventually became part of the University of Arkansas educational system. Andrews claimed that, during a portion of the time he worked at the bookstore, he was improperly classified as being exempt from the overtime pay requirements of the Arkansas Minimum Wage Act. The University moved to dismiss the suit, arguing that the University (as an instrumentality of the State) was immune from suit. The University acknowledged that the Arkansas Minimum Wage Act provided that “an employee may bring an action for equitable or monetary relief against an employer, including the State of Arkansas or a political subdivision of the state, if the employer pays the employee less than the minimum wage, including overtime wages, to which the employee is entitled . . . .” Ark. Code Ann. 11-4-218(e)(emphasis added). The University further acknowledged that, since 1996, the Arkansas Supreme Court had (in numerous cases concerning several different statutes) directly and impliedly sustained the state legislature’s authority to waive sovereign immunity by statute. Nonetheless, the University argued that such legislative waivers of sovereign immunity violated the plain language of Article 5, section 20 of the Arkansas Constitution. 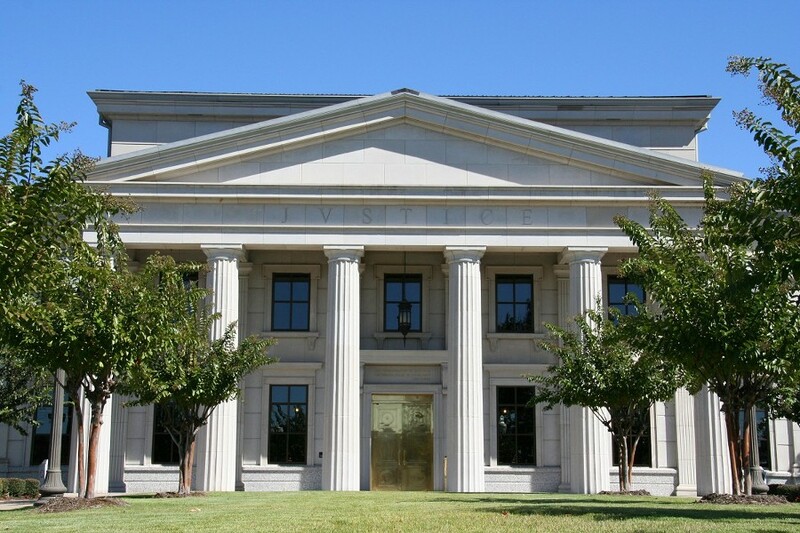 The University also noted that its position mirrored the position of the Arkansas Supreme Court from 1935 to 1996. The University explained that the Court’s 1996 sea change occurred with nearly no discussion of the 60 years of prior caselaw and with no adversarial briefing on the issue—because the state Attorney General in 1996 effectively conceded the issue. The state trial court denied the University’s motion to dismiss, as required by the then-operative precedent of the State Supreme Court. The University appealed directly to the Arkansas Supreme Court, and the current Arkansas Attorney General, Leslie Rutledge, filed an amicus brief supporting the University’s position. (Disclaimer: I was Solicitor General at the time and helped draft the brief.) The Arkansas Supreme Court, in a 5-2 decision, reversed the trial court. First, the Court noted that Article 5, Section 20 should be interpreted “precisely as it reads.” Andrews, 2018 Ark. 12 at *10. The state can’t be a defendant in her courts, even if the state legislature desires otherwise. Second, and somewhat relatedly, the Court emphasized the historical context of this constitutional provision. “The drafters of the current constitution removed language from the 1868 constitution that provided the General Assembly with statutory authority to waive sovereign immunity and instead” said the state shall “never” be made a defendant in her courts. Id. at 11. Noting that “[t]he people of the State of Arkansas approved this change when ratifying the current constitution,” the Court made clear that “the General Assembly does not have the power to override” or ignore this intentional change in language. Id. Third, the Court concluded that principles of stare decisis actually cut in favor of (or at least mitigate any problem with) following the 60 years of precedent—between 1935 and 1996—that preceded the unexplained and unreasoned 1996 sea change in the interpretation of Article 20, Section 5. Id. Based on the foregoing reasoning, the Court invalidated the portion of the Arkansas Minimum Wage Act that waived sovereign immunity and dismissed the case. As it did so, however, the Court acknowledged the existence of a forum where Mr. Andrews could seek monetary relief—the Arkansas State Claims Commission, a body created by and subject to the ultimate control of the state legislature. Id. at 12. While not legally decisive, the existence of the Claims Commission appeared to provide the Court with comfort that claims like the one brought by Mr. Andrews would not be left without any avenue for redress. In a strongly worded dissent, two Justices argued the majority’s textual analysis of Article 5, section 20 was faulty and dangerous. The dissent’s principal argument was that, in cases where the legislature waives sovereign immunity, the state is not “made a defendant” as that phrase was used in the state Constitution. Pointing to several possible dictionary definitions of the word “made,” the dissent suggests “made” is best interpreted in this context as “compelled.” Id. at 14 (Baker, J., dissenting). Under that view, the constitutional provision at issue allows for, expects, and is thus not inconsistent with statutory waivers of sovereign immunity. The dissent did not engage with the majority’s historical analysis—i.e., the change in constitutional language from the former constitution to the current one—but instead chose a definition of “made” based on principles of stare decisis and concern with the results of the majority’s definition. The dissent argued that the last 20 years of caselaw (not the 60 years prior to that) are the cases that must be followed unless they are “patently wrong” or “manifestly unjust.” Id. at 17. Because the constitutional provision could reasonably be read to accommodate the more recent cases, by defining “made” as “compelled,” the dissent would have done so. The dissent was especially concerned that the majority’s contrary reading of the provision “effectively revive[s] the antiquated doctrine that ‘the king can do no wrong.’” Id. Pointing to numerous laws waiving immunity and numerous types of cases against the state that might be affected by this ruling, the dissent decried “the implications” of the majority’s decision as “astounding.” Id. at 18. The biggest open issues resulting the Andrews case are (1) whether actions for future injunctive relief may be maintained against state officials alleged to be acting illegally or unconstitutionally, and (2) whether actions brought against state agencies pursuant to the AAPA (Arkansas Administrative Procedure Act) may be maintained. Since Andrews, lower state courts have split pretty evenly on these issue. And while several justices in the Andrews majority have gone out of their way to caution that Andrews should be read very narrowly and to imply that Andrews will be limited to monetary relief cases, see e.g., Arkansas Community Correction v. Barnes, 2018 Ark. 122 at *4 (Wynne, J., concurring), the Arkansas Supreme Court has yet to directly address the issues. Stay tuned.